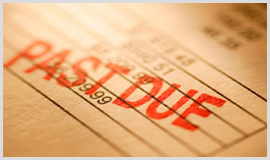 Our Private Investigators London have years of experience in tracking down debtors. Our London tracing debtors team are dedicated to finding those people who owe you money, for whatever reason. Whatever debt you have outstanding you can rest assured that our tracing debtors in London have the ability and experience to trace your debtor efficiently and effectively. Our private investigator service traces will be carried out by our professional private detectives. Hiring a private detective in London will save you time and worry. The people who try to avoid paying a debt are using increasingly sophisticated in the ways they hide their whereabouts. Our private detectives have the resources, manpower and time to look into every little piece of information you have on the illusive debtor. Where there is a debt our aim is to ensure the debtor repays it. Private Investigators London will conduct a confidential consultation with you in which we will discuss your situation with a view to finding out together the best solution to your problem. The private detective investigator who will be assigned to your case will give you all the possible solutions available to you in locating your missing debtor. These solutions can involve covert static and mobile surveillance sessions, local searches within the area they were the subject was last seen, background checks and name and D.O.B. checks. These checks are to ensure that the person we are looking for will be tracked down regardless of what name they chose to use. Internet based searches that include all social networking sites can be a great help in tracing missing people, as quite often they can get too comfortable and slip up, giving us the opportunity to locate them all the quicker. A local landlord came to Private Investigators London after experiencing difficulties with a tenant who owed him a considerable amount of money. The client had let out a small property to the individual and his partner but a month into the tenancy had discovered that the documentation they had given him contained false information. When he confronted the couple they became very aggressive and soon after left the property without warning but owing two months rent and costs for the considerable damages on the property grounds that they had caused. After various attempts to find the individuals the client had achieved no results and so contacted the best private investigators in London for help. The private investigation began with investigators London looking in the limited information that the client had collated on the individual. After running a series of in depth checks on the information private investigators were able to identify several possible matches and used surveillance to narrow down these results. After obtaining photographs of each possible match our private investigators showed the evidence to the client who was able to positively identify the male tenant though his partner seemed to be no longer with him. Following the private investigations the client was able to take the target to court for the money he owed him and now that he knew his whereabouts and living situation could make a much stronger case against him. The courts were able to take legal action against the individual and the local authorities were made available to enforce the payment of all due costs.